This fun jungle backpack is ideal for school. 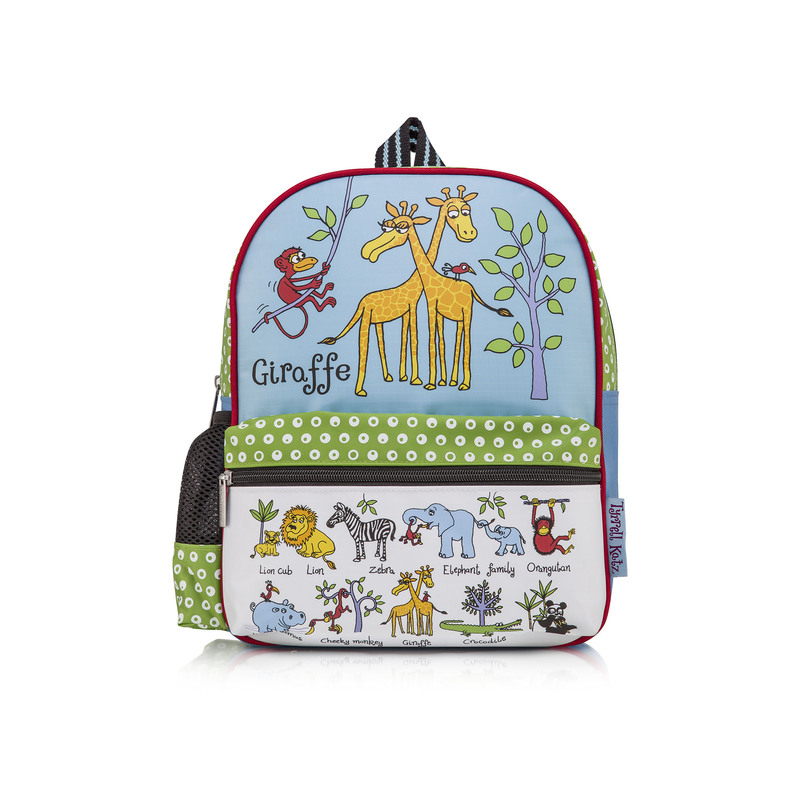 Bright and colourful, this backpack features animals including lions, giraffe, monkey, zebra. Along with a handy front pocket and a side pocket to store a drinking bottle. There are two adjustable straps for comfort and a loop so that you can hang it up for practicality. Also perfect for adventures out, matching jungle pencil case available.